The royal palaces, or llysoedd, of the Princes of Gwynedd, during the centuries of independence before the conquest by Edward I in 1283, have been described as among the most important secular settlement complexes in the Welsh Medieval landscape. It was from halls of llysoedd such as Rhosyr that Gwynedd was governed. When the king was in attendance at the llys he might summon his councillors and other important men from the commote to meet him. Business would be done in the hall during the day. Llywelyn Fawr signed a charter at Rhosyr in 1237. In the evening feasting and entertainment would take place around the great open hearth. 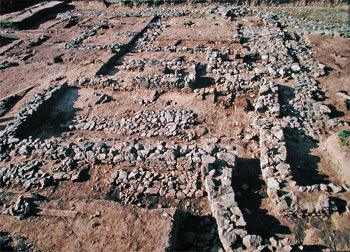 Kilns, or ovens have been identified between the interior structures and the perimeter wall. If these are ovens then food for the great hall may have been cooked here. The preparation of the food, laid out on great platters in elaborate display, may have taken place in the room at the east end of the hall, provided with its own hearth. By the twelfth and thirteenth centuries the administration of the kingdom of Gwynedd was based on a network of local foci serving an itinerant royal court. Gwynedd was divided into administrative areas known as commotes, and each commote would have had its own royal court or llys. The bond township in which the commotal llys was located was referred to as the maerdref (The maer was the king's agent in the commote). The component parts of a llys and maerdref included the llys itself, with its royal hall and other buildings, the royal demesne (tir bwrdd) worked by bond tenants, and the settlements of the tenants in one or more small hamlets. The tenurial obligations of the king’s tenants would include working the fields of the royal desmesne lands and supplying the llys with agricultural produce. Other tenants in the commote would be responsible for the repair and maintenance of the royal buildings. These duties are documented and we know, for example, that, at Rhosyr, they included making the fence around the llys, building works on the chapel and the rhaglaw’s hall and on the lord’s privy and stable. The Welsh lawbooks describe a jurist’s view of those buildings the king’s tenants were expected to provide. They include the hall, chamber, foodhouse, stable, porch, barn, kiln, domitory, and privy (ty bach). Rhosyr is well documented as the maerdref of the commote of Menai. A charter of Llywelyn ap Iorwerth was issued there in 1237 and a fair and market were well established before the conquest. The pre-conquest demesne extended over 600 acres and in 1303 the new borough of Newborough was established on these lands. In 1332 over 200 acres of land were lost as the result of a sand storm and blown sand must have been a persistent problem. In the eighteenth century Henry Rowlands referred to the sand-covered rectangular ruined walls of the former llys a short distance south of St. Peter's Church, Newborough, on the crest of a low but locally prominent ridge between the estuaries of the Braint and the Cefni. By the twentieth century nothing was visible. The local place-name, Cae Llys, together with the generalised locational information provided by antiquarian sources, the topography and the apparent association with the adjacent church recommended the site for limited trial excavation during 1992-3. 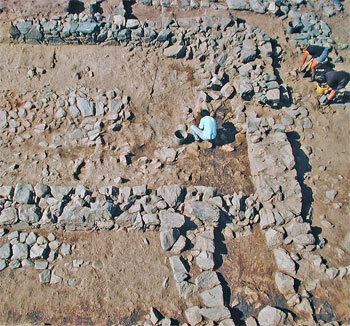 Structural debris, including stone walling and stratified pottery of the thirteenth and fourteenth centuries confirmed the potential of the site for further work. 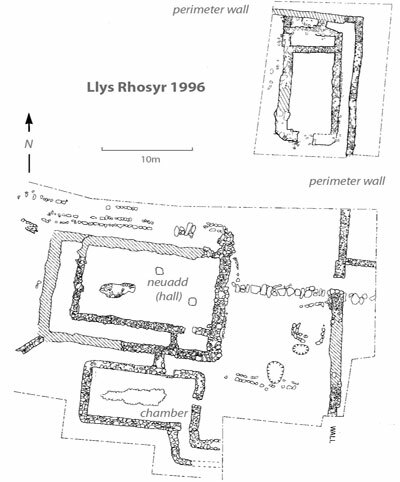 Excavation began at Llys Rhosyr in 1992 with a very limited trial excavation in order to assess the potential for further work. 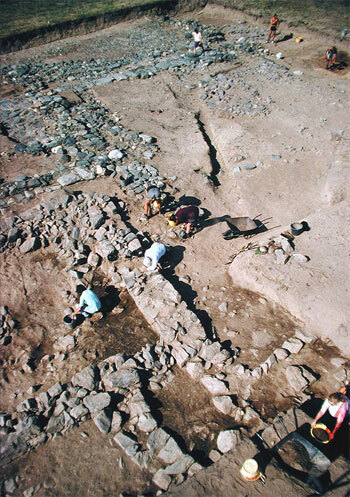 Major seasons of excavation followed between 1994 and 1996, undertaken by the Gwynedd Archaeological Trust with student assistance from the University Colleges of Cardiff and Lampeter and financial support from Cadw and Ynys Mon. The excavations were directed by Neil Johnstone. Approximately one quarter of the site has been exposed. 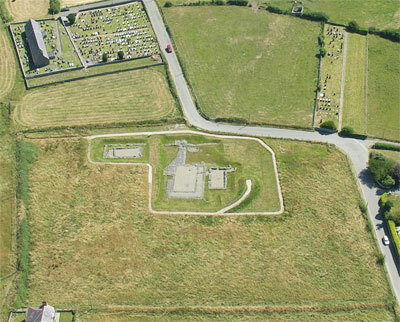 The site, owned by Mrs Sian Williams of Bodorgan, was leased to Ynys Mon County Council. Without their generous and enthusiastic support, the project would not have been possible.